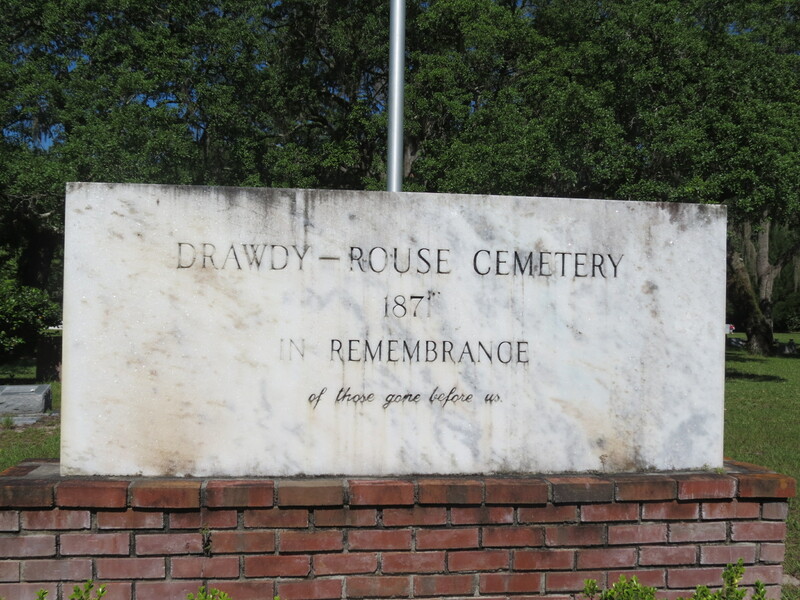 The Drawdy-Rouse Cemetery is a Florida Not For Profit Corporation called Drawdy-Rouse Family Cemetery, Inc. The cemetery is active and is accepting new burials. The address for the cemetery is 4050 Rouse Road, Orlando, FL 32817. Please contact Bill Rouse at 321-663-4446 or email him at drawdyrouse@yahoo.com for more information or to reserve a plot. The current plot price is $2,500, which is for one casket burial or two cremation burials. We are currently undertaking a capital fund-raising project to raise funds so that we can complete the new fence that borders Rouse Road. The brick columns and ornamental fencing have been installed. We still need to install gates. For more information go to our Fence Project page. You may donate using the button below. You can use your PayPal account, or use your credit card or debit card to donate. All transactions are secure. Or you can send us a check to the address below. Please consider donating so that we can complete the fence that will border this historic pioneer cemetery. The cemetery is open from dawn until dusk. When visiting the cemetery, please drive your vehicle into the cemetery, being careful not to park near tombstones. For more information, please email drawdyrouse@yahoo.com. There are 763 interments in the Drawdy Rouse cemetery.